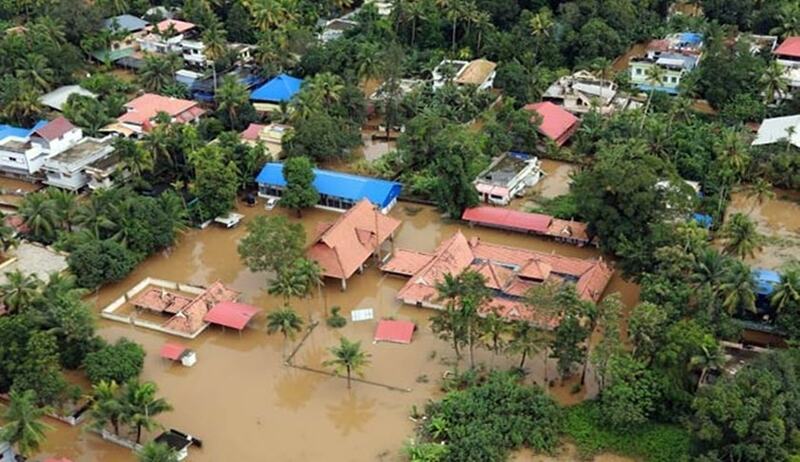 As God’s own country, Kerala struggles to get back up after being raved by floods, High Courts across the country are doing their bit to help with the rehabilitation of the affected people. While several High Court judges and staff members have already donated to the Chief Minister’s Disaster Relief Fund for the State of Kerala, the judges are also directing litigants to pay costs towards the relief fund. For instance, Justice Valmiki J. Mehta of Delhi High Court passed an order on 21 August in a property dispute. He concluded that the appellants had filed the claim to capture tenancy rights on the property which was protected under the Delhi Rent Control Act, to the disadvantage of the original owner of the suit property. Noting that the appeals were meritless, the Court therefore directed the two appellants to deposit costs of Rs. 5 lakhs each to the CM’s Distress Relief Fund. Delhi High Court had, on 21 August, agreed to quash an FIR against a petitioner, subject to payment of Rs. 15,000 towards Chief Minister’s Disaster Relief Fund for the State of Kerala. The order was issued by Justice Sanjeev Sachdeva on a petition filed by one Tarun Singh seeking quashing of an FIR filed against him for sexual harassment, stalking, and criminal intimidation, among other things. The proceedings were quashed after the court was informed that the parties had settled their disputes through mediation. In another order, Justice Sanjeev Sachdeva allowed quashing of an FIR by a partner of a firm against another under Section 308 (attempt to commit culpable homicide) of the IPC. Noting that the parties had settled their disputes, the Court now directed both the petitioners to deposit Rs. 5,000 each towards the Chief Minister’s Disaster Relief Fund for the State of Kerala. The Madhya Pradesh High Court had also recently imposed a condition of payment for Kerala flood relief for restoration of a petition which got dismissed for default, observing that “people of Kerala are facing the natural calamity in the form of severe flood”. The Court said that the restoration application can be allowed on the principle that the litigant should not suffer due to the fault of the lawyer. However, restoration applications are usually allowed on costs. In the light of Kerala floods, the Court deemed it fit to order payment of costs to Kerala Flood Relief Fund. The counsel for the applicant undertook to deposit a sum of Rs.1000/- to the account of Kerala Chief Minister’s Distress Relief Fund. In another order, the Madhya Pradesh High Court dismissed a habeas corpus petition after imposing costs of Rs. 25,000 on the petitioner for filing the petition on “false grounds”. Out of the total amount, the petitioner was directed to deposit Rs. 20,000 to Kerala Chief Minister's Distress Relief Fund, and Rs. 5,000 to the Office of Secretary, High Court Bar Association. According to a Times of India report, the Karnataka High Court also recently issued a similar direction, dismissing as “frivolous” a PIL filed by TDR Harishchandra Gowda, who claimed that his warnings about the Mumbai terror attack on November 26, 2008 had been ignored. In addition to demanding a memo from the petitioner with the statement that he would not file such frivolous PILs in future, a division bench headed by Chief Justice Dinesh Maheshwari directed him to deposit Rs. 5,000 towards the CM’s relief fund. Kerala has been facing an unprecedented crisis, having been hit by the worst-floods in a 100 years. The State has lost nearly 400 people and more than a million have been displaced. While water levels are receding, Kerala now faces the challenge of rebuilding, with economic cost of damages being estimated in billions of dollars.